This is a training series where I will walk you through how you can build a niche website and earn money through affiliate marketing. I will use a real website of mine as an example. Yes, I’ll start a brand new site for the sake of this training series, and you will get to witness how I am going to develop it! Ok, so we are at the very beginning of this endeavor. We are about to launch an online business. First and foremost, even before you attempt to create your very first website, you must decide the direction of your business. You must pick a niche. So, here is the question: what is a niche? Simply put, a niche is the theme of your business. Ask “What service/products do I want to provide people through my website?” The answer to the question is your niche. If you are going to share vegan recipes, that’s a niche. If you are going to offer tips for traveling inexpensively, that’s a niche. 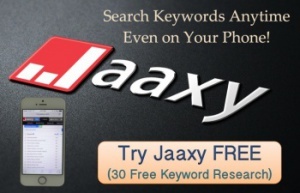 What do you think the niche of this website is that you are looking at now? 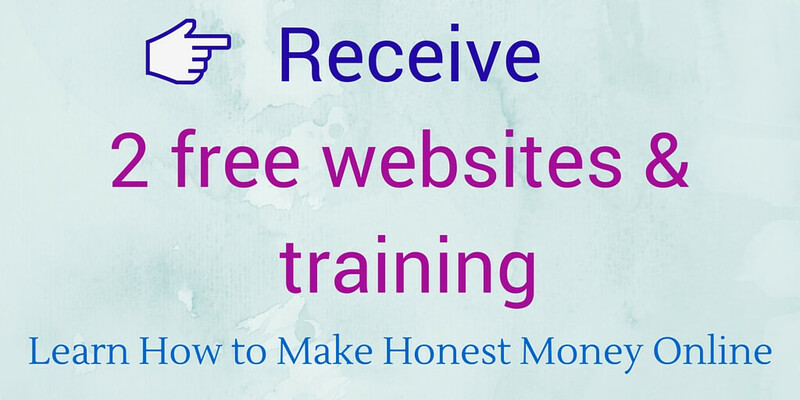 Through this site, I am helping people understand how they can earn money on the internet via websites. That’s the niche of this site and my business. I hope you are grasping the idea of what a niche is. So, How Do I Pick a Niche? 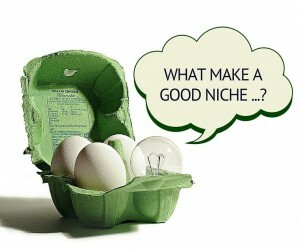 If you do research on the internet about how to pick a niche, you can find tons of information. Many websites you come across will instruct you to find a profitable niche. Relationship: How to Attract the Right Partner, Dating Tips, Marriage Counseling, Tips for Long-lasting Relationship, etc. Health and Diet: Fitness, Healthy Eating, Weight Loss, etc. Wealth: Making Money Online, Multi-level Marketing, Real Estate, Foreign Currency Exchange Market (Forex), Financial Advise, Credit Repair Services, etc. Of course, the money part is important. If your niche website is not generating any income, you don’t have a business. You have a hobby. Having said that, money should not be the first focus on your niche selection. Especially, your very first niche must be about SOMETHING THAT YOU LIKE. Pat had been working in the industry and was already knowledgeable about the LEED exam, what works and what doesn’t to pass it. So he launched the website to share tips, study guide and useful resources. Eventually, he partnered with a company that offers LEED practice tests and began generating income through their affiliate program. Because his niche was uncommon and specifically targetted a particular group of people rather than general public, his website became super successful. Pat’s case is a good example that a niche must be based on what you know well, love to talk about, enjoy doing or enjoy helping people with. Overall it has to be something that interests you and gets you excited! You are going to spend hours and hours on the niche as you develop your business. You will be writing lots of contents (blog posts and articles) within the niche, communicating with people about the niche, and helping people within the niche. It has to be something that you enjoy working with. Otherwise, your online business might start feeling like that painful 9-5 job that you possess no passion toward. Earning income online should be fun, and it IS fun. It’s worth a try because it makes it possible for you to earn an income by doing WHAT YOU ENJOY doing. That’s the true value of an online business. If you feel like you have to drag yourself out of bed every day to run your online business, there is no point of doing it. Stick to your 9-5 job as it grants you the sense of comfort and familiarity at least. Online business is something you feel excited to wake up to every morning. That’s how I, and other fellow online entrepreneurs I communicate with, honestly feel. Yes, it does require your hard work and perseverance. It may feel overwhelming at times. But it should never give you that “oh, I’m so waiting for Friday!” kind of feeling. Your online business must be something that gives you joy even when you are doing the hard work. When you enjoy something, you will naturally try your best for yourself, and the hard work even doesn’t feel like hard work. That’s how your business grows. This is why choosing a niche of your interest is the key element to success. Eventually, You Can Have More Than One Niche! Also, know that the niche you pick today is NOT going to be the only niche you will be stuck with for the rest of your life, so please do not spend weeks to select one. It is merely the start. It’s simply one of many niches that you will create in the future. It is quite possible that your very first business (website) you create now may generate only a few hundred bucks a month. That’s perfectly normal and that’s ok. The point here is that you will get started and learn invaluable skills of online marketing through the first niche site. Once you acquire the skills, you can apply them to future websites with different niches. Your second niche site may begin creating $1,000s/month. Your third niche site may start generating $10,000s a month. You’ll never know. The important thing is that you actually learn how to do it, and having a website (business) is the only way to learn those skills through experiences. So at this stage, try not to be too perfect choosing a niche. Do not focus too much on the profit side but rather pick one that would bring you joy. Ask yourself what you want to share with the world and in what area you think you can add values to other people’s lives. I Still Need Help with a Niche! If you are still struggling, here is the best walkthrough I have ever come across. 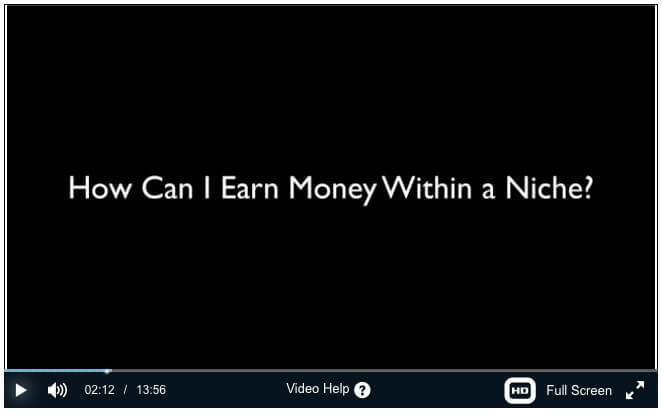 Then access the video tutorial that really helps you brainstorm niche ideas and understand how you can make money within a niche. In this series, Online Income 101, I will be covering the entire process of setting up a new online business. I will walk you through each step of launching a new income generating website through an actual website I build from scratch. To make the best out of Online Income 101, it is highly recommended to create a free account at the website I mentioned above. The program is called Wealthy Affiliate and you can read my full review here. I will use lots of their resources to guide you through in this series. Your focus shouldn’t be on money while selecting your first niche, but let’s not ignore the money part altogether. One thing you must make sure is that the niche you chose has some potential of generating revenue. Keep in mind that there is no such thing as “choosing the wrong niche” and practically ANY niche can make you money. 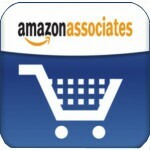 But just to be sure, let’s check at least if there are any affiliate programs available within your niche. and see what pops up. 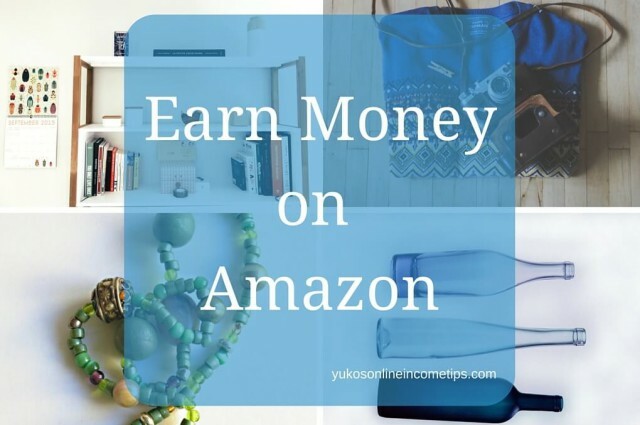 If nothing comes up (which is VERY unlikely), you can always head to Amazon.com and see if they carry any items related to your niche. Curious What Niche I Chose? As I mentioned above, for the sake of this walk-through series, I am going to start a brand new niche website as an example. The purpose of the example website is to help you understand how to build a website and how to monetize it, so the niche could be anything (it didn’t matter if it would generate a big income). Yet, I still wanted to pick something that I would enjoy writing about and sharing with my visitors. I did ask myself what topic I would love to learn and write about the most. Also, I checked what kind of affiliate programs are available for each niche. 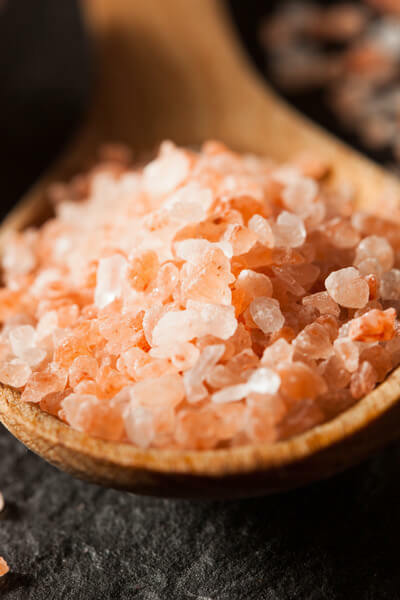 Since a friend of mine introduced Himalayan salt to me, I am a big fan of this pink-colored, mineral-rich salt that was naturally created by the mother Earth. It now is a big part of my everyday life as I use it for cooking, bathing, lighting, air purification and spiritual purification. I figured I would have many topics to share that would benefit my reader’s lives. Yes, there are affiliate programs related to Himalayan salt and I didn’t forget to check Amazon.com too. I was pleasantly surprised to see there are so many products of Himalayan salt (more than I had anticipated) on the internet. I know this niche is sufficiently profitable. The Direction of My Business is Set. Now What? Ok, now you have a niche in place. What’s next? Are we going to create a website? No, not yet really. There is one more thing you need to do before you attempt to build your first website. 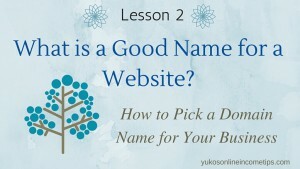 You need to decide the title of your website (and domain name too, if possible). This process could be more than just picking a name that you like or sounds pretty, but it in no way is difficult to do. I’ll walk you through this process in the next lesson, “What is a Good Name for a Website?” and explain how I came up with the title of my new site about Himalayan salt. 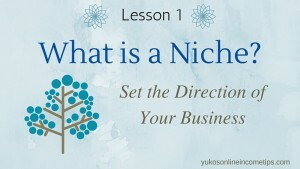 I hope this very first lesson helped you understand what a niche is and how to select one for your business. Again, if you are still struggling to pick one, be sure to check this walkthrough. If you have any concerns, comments or questions, do leave them below. Let’s set off to your very first online business! 4 Comments on "What is a Niche? – Set the Direction of Your Business"
Thanks very much for sharing your post. You make it so simple and I finally understand how I can choose my niche. I wanted to start an online business on my own but it looked so complicated until I read your post. I think a lot of people will find your article very helpful! Once again thanks for sharing. I’m glad it helped you understand better what niche is. Yes, go ahead and start your online business! Choosing a right niche for you and plan the website structure are the most important prep you need to do. Creating the website itself is not difficult and can be done in a few minutes as long as you have the niche and structure in place. Let me know if I can help you with anything else. Good luck! When I started my first website, I used a an approach I learned in college for writing: Brainstorming. I quickly came up with a list of passions–if you will. I then narrowed them down to three. My last step was to select the one thing that was most important to me. My Christian faith won out and that is how I began my first site. My 2nd site was easier because I built that site out marketing Wealthy Affiliate University. People need to take the time to learn how to choose a good niche for their business. That’s the first step to success. Right on, that’s how to choose a niche for a successful online business: passion. Brainstorming is incredibly important yet many people do not spend enough time doing it. Listing things you like, narrow down to three, and pick the most important one is a great strategy. Thanks for sharing!